It’s the time of year again for our annual photo contest. To honor you and your beautiful birds, we’ve put together another great photo contest in which you can win some memorable prizes. 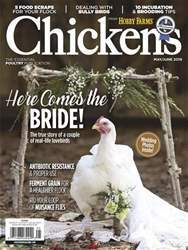 This year, we offer four categories to enter: Cutest Chick, Best Hen, Best Rooster and Best Group. See the following pages for more information on these categories and how to enter.